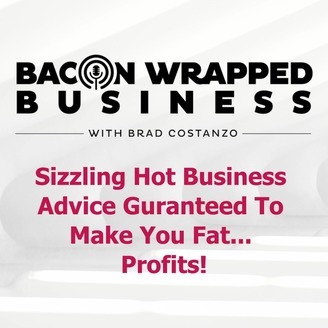 Bacon Wrapped Business With Brad Costanzo | Sizzling Hot Business Advice Guaranteed To Make You Fat...PROFITS! "Sizzling Hot Business Advice Guaranteed To Make You Fat...PROFITS!" Visit Bacon Wrapped Business How do you know if this show is right for you? You own a business or you're in charge of growing it. You're a startup or looking for an exit and improving your profits is priority #1. You love hot new ideas, proven marketing campaigns, expert advice and out of the box thinking almost as much as you love a plate of hot bacon. Brad Costanzo, entrepreneur, business owner, digital marketing consultant, bacon-lover and business growth geek shares his insights and invites other world-class business minds to share their best bacon-wrapped business strategies with you. 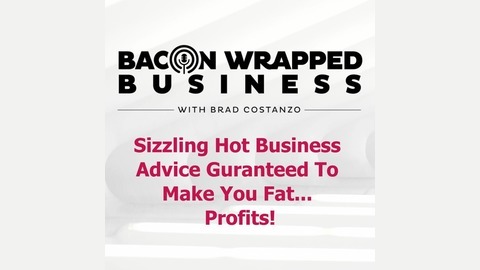 Send an email to AskBrad@BaconWrappedBusiness.com and give him your toughest business challenges... he and his guest hosts will wrap-em-in-bacon and deliver you a piping hot plate of profits Business Growth Hacks and Marketing Chats With Inspiring Entrepreneurs. If you like John Lee Dumas, Tim Ferris, James Altucher, Jordan Harbinger you'll love this! It’s a good thing that Thomas Edison never followed that advice. “Pick one thing, say ‘No’ to everything else, blinders on, focus deeply”. In this episode I give you an alternate perspective on this common wisdom and how it might not be right for everyone. Can a VIDEO FLYWHEEL Help You Win At YouTube?